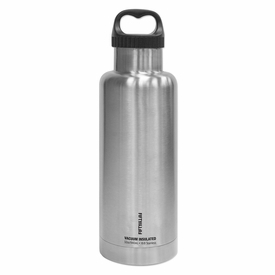 Our 32oz vacuum-insulated water bottle features our new two-finger easy-carry handle lid and keep liquids hot or cold all day. This howler is designed for all-day hydration while you hop from work to the gym to a happy hour meet up. It's the ideal size to bring extra liquids when you won't have access to easy refills. Hydrate yourself and your whole family. Available in a variety of fun color options, they're made of lightweight 18/8 stainless steel that is recyclable, non-leaching and will not retain taste or odor. 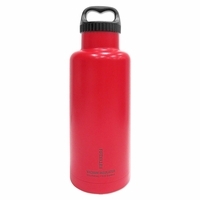 And even better, the double-wall technology prevents condensation on the outside of the bottle to keep your hands (and car and desk and gym bag) nice and dry!